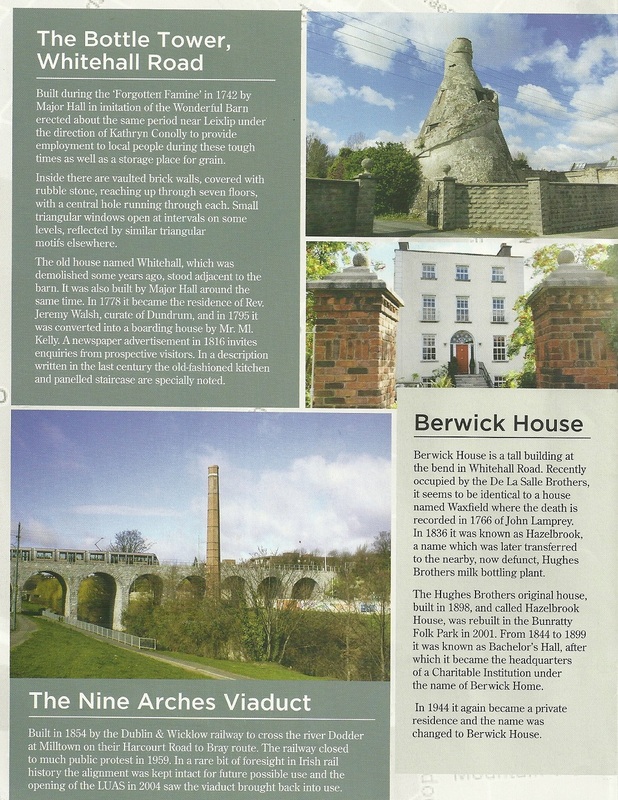 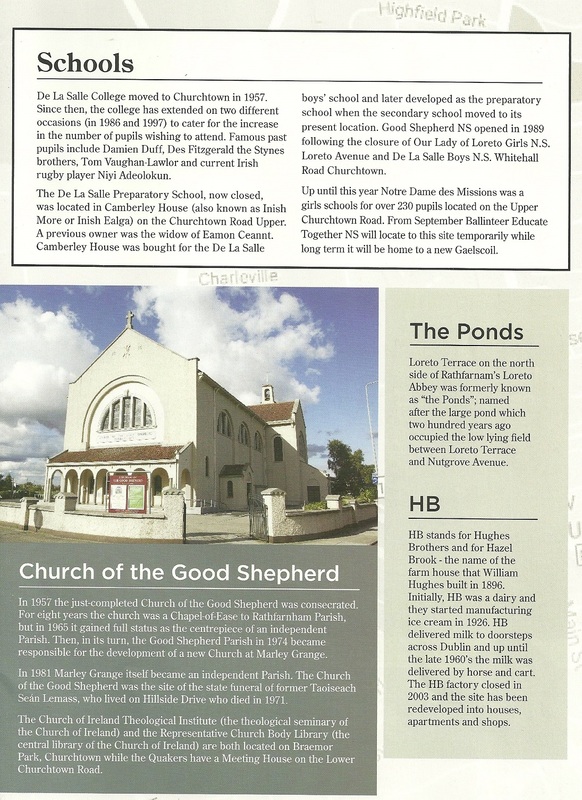 “Churchtown Past & Present” a lovely leaflet giving the history of many of the local landmarks of Churchtown in Dublin. 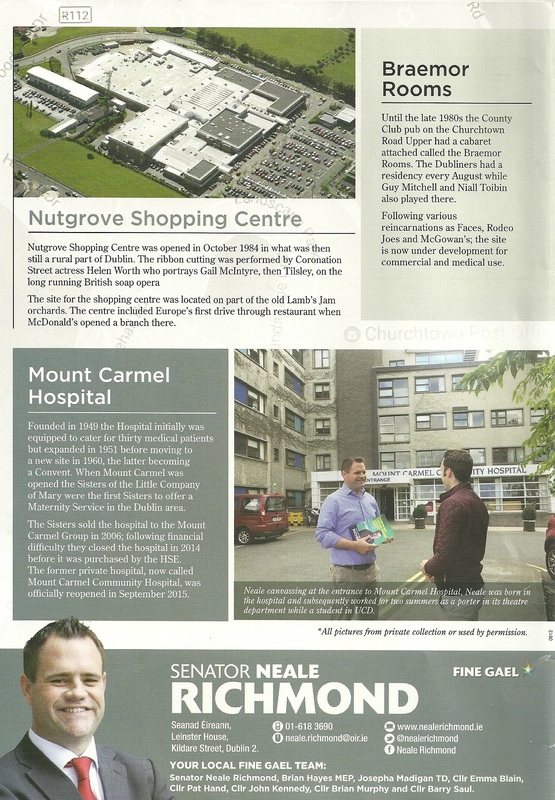 It was produced by Fine Gael Senator Neale Richmond. 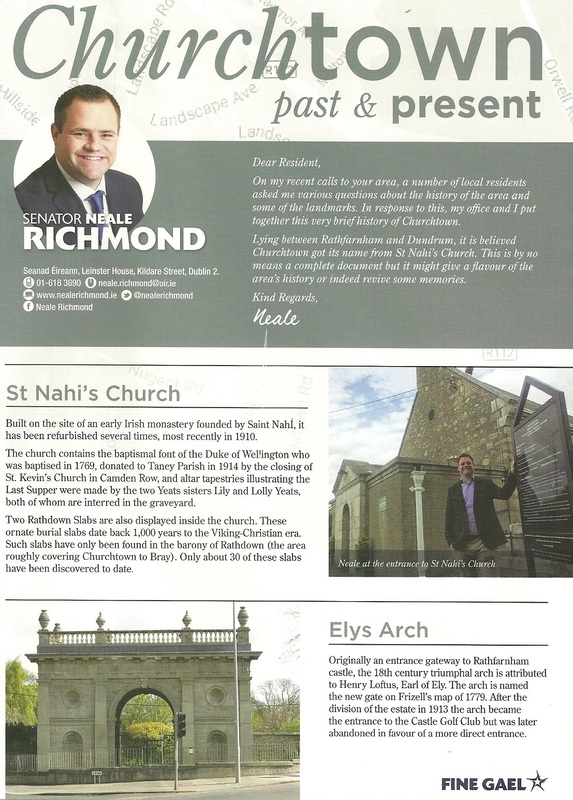 I must confess to loving leaflets like this with Local History in them.